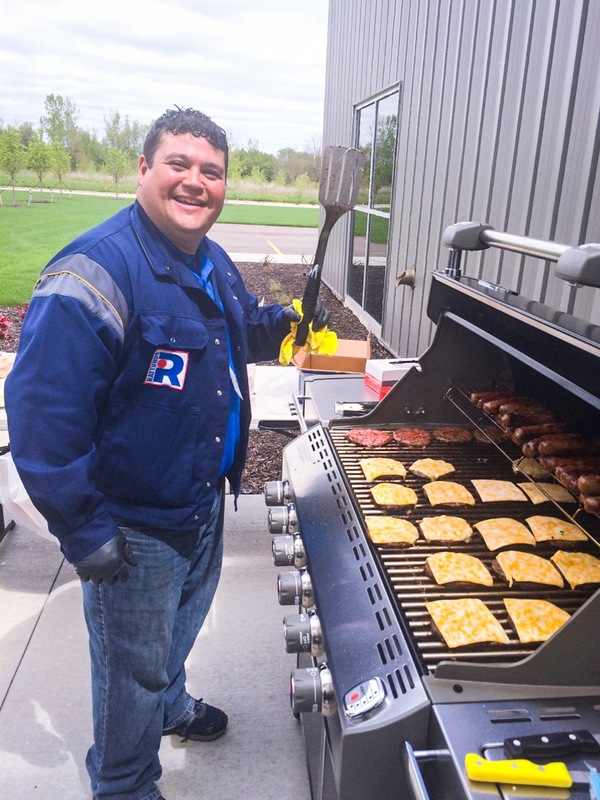 Guests at Rattunde’s Open House enjoyed an outdoor barbeque! 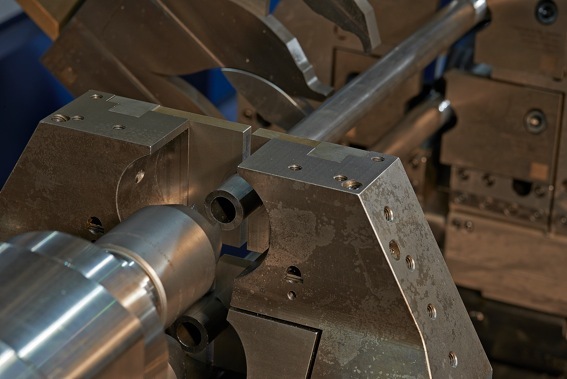 Rattunde Corporation, a German-based manufacturer of finished length tube and solid bar production systems, has been operating in the North American market for over eight years. 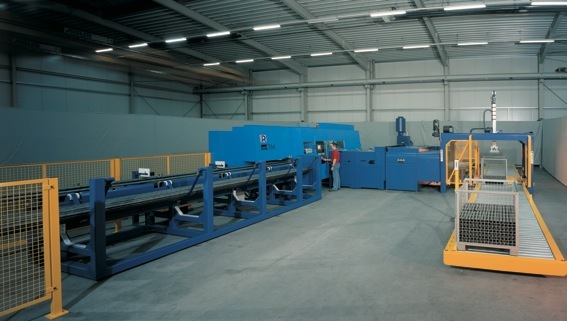 The company’s success was celebrated with a technology open house on May 13-14, during which guests saw a resident machine in action, taking steel tube lengths and producing finished, cut-to-length, chamfered and machined tubing sections, automatically stacked for shipping, all within the work envelope of the machine. 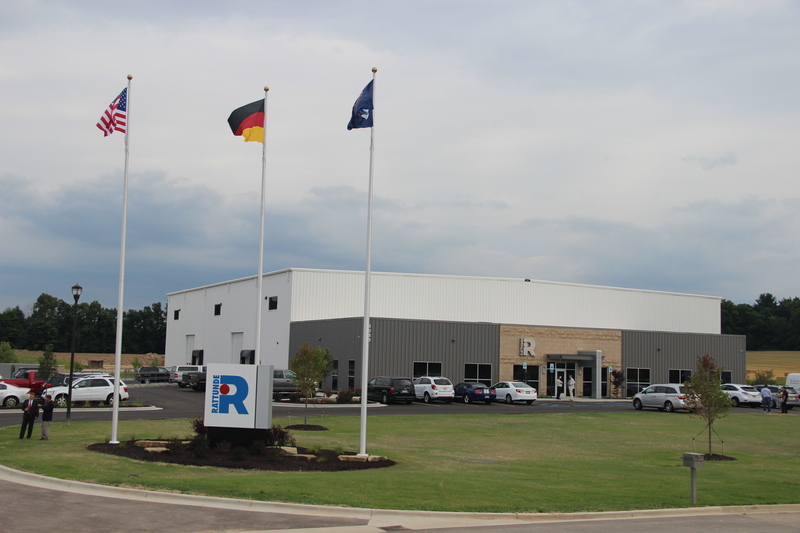 Rattunde Corporation President Richard Stadler proudly opened the doors to the company, a 30,000 square-foot facility in Caledonia Township, near the company’s previous location in Grand Rapids, Michigan. The plant houses the North American sales and service operations, plus spare parts inventory and manufacturing operations for the production of machine tooling. Areas within the new facility also house a technical center with a machine onsite at all times for demonstration and training. Future plans call for an expansion of the building to over 100,000 square feet, enabling Rattunde to produce their entire finished length tube and solid bar production systems here. This decision was reached, after an analysis of the current and anticipated business needs of the company, according to Stadler. “Our growth in North America has been rapid, though not unexpected, due to the unique nature of our equipment and the reliability and performance characteristics of our machines.” Stadler further noted that solid growth of the company into diverse markets throughout North America made the new facility a logical choice. Concurrent with this development, Rattunde has expanded its workforce with technical service and administrative personnel. As Stadler explains, “Whenever a machinery company grows quickly, there’s an ever-present need for more customer service and technical personnel. Of course, new people must be found and trained.” Stadler went on to explain that rapid growth also means working smarter. Rather than waiting for a customer to reach out to Rattunde in a time of need, Rattunde is proactively sending technicians to the customer and performing comprehensive machine inspections, identifying and correcting small issues before they become large ones. Over 100 guests joined in this two-day event, watching the machine operate, examining the dedicated tooling Rattunde will produce onsite, participating in the technical sessions, led by Stadler and VP Alec Banish, plus enjoying the outdoor barbeque, as the weather cooperated nicely. The attendees comprised Rattunde personnel, sales representatives from the North American network, honored guests from the parent company in Germany, plus numerous customers, prospective business partners and suppliers to the company. A good time was had by all! Rattunde President Rick Stadler cuts the ribbon to officially open the company’s new facility in Caledonia, Michigan, near Grand Rapids. He is flanked by Martin Proksch (l) and Ulrich Rattunde (r), both directors from the parent company in Germany, plus the team members of Rattunde Corporation. Mr. Stadler’s sons hold the ends of the ribbon for their dad. 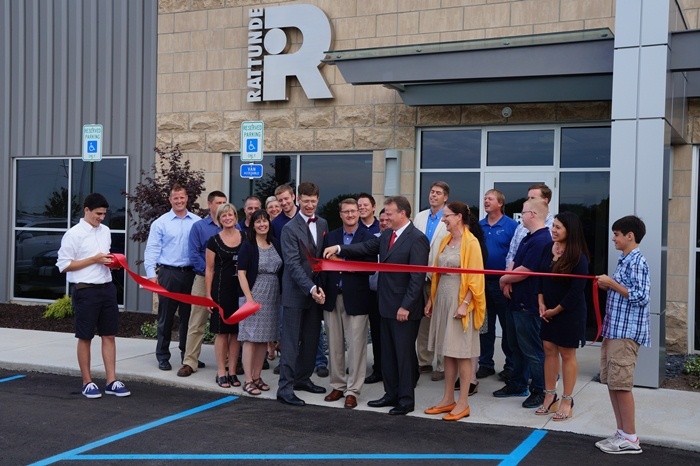 Global manufacturer of tube and bar processing machinery Rattunde celebrated the official ribbon-cutting ceremony to open its new manufacturing facility in Caledonia, Michigan (Grand Rapids area) on Friday, July 25, 2014. 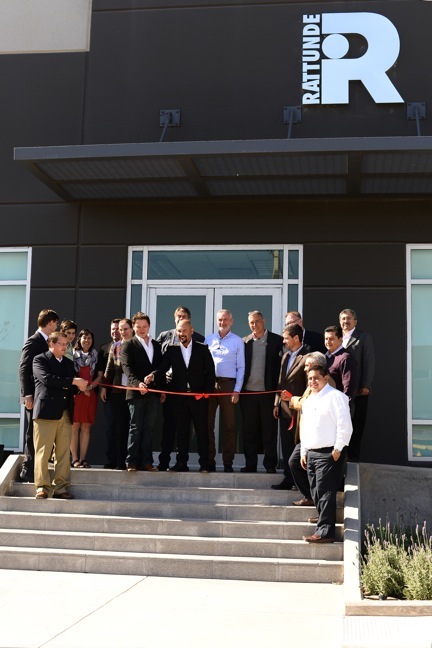 The ribbon was cut (as shown in photo) by company President Rick Stadler, who was joined by managing directors Ulrich Rattunde and Martin Proksch from Rattunde & Co GmbH and the Rattunde Corporation staff. Approximately 50 people enjoyed the day, complete with good food and camaraderie. A formal open house for Rattunde customers and the media is slated for later, this year. Rattunde erected its new 30,000 sq. ft. facility on a 14-acre parcel of land the company purchased last year in Caledonia, initially to build tooling for its machinery systems, which process bar and tube stock into various end products used by manufacturers in the auto, appliance, off-highway, transportation and other industries throughout North America. Rattunde Corporation is the subsidiary of Rattunde & Co. GmbH, based in Ludwigslust, Germany. Long-range plans call for an expansion of this new facility up to 100,000 or more sq. ft. for eventual machine builds here. New 30,000 sq. ft. facility officially opened by Rattunde on July 25, 2014. The new facility also houses a complete spare parts inventory, training areas for both company and customer personnel, machines for demonstration purposes and testing plus a state-of-the-art machine shop, where machine- and application-specific tooling will be manufactured, making the company more responsive to customer requirements. Stadler also mentioned future plans for a facility in Mexico, where the company has substantial business engagements. Major manufacturer of tube and bar processing machinery Rattunde today announced the appointment of the following individuals to new positions at the company, based in Caledonia, Michigan, near Grand Rapids. This announcement was made by company president Rick Stadler. Chad has been a member of the IBEW (International Brotherhood of Electrical Workers) for 10 years and is also a Certified Master Electrician. Chad will be training new and current customers as well as commissioning new machines in the field. His other duties will include handling the customer help line and assisting the service team. Janelle was brought onboard to fill a wide spectrum of duties. She will be responsible for pre- and post-sales communications between customers and internal resources, plus the planning and scheduling of machine installations. Janelle was an executive assistant for the past 3 years and has spent time in both inside and outside sales. 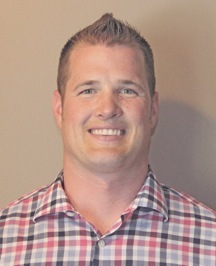 Will was hired by Rattunde to handle multiple functions. His primary duty will be to help maintain the Rattunde customer relationships that have been generated over the last 8 years in North America. A further reason he was hired is to help with market research, assisting Rattunde in its expansion into new markets. A third area of responsibility will be marketing. Will has a sales background, having worked the last 9 years in the automotive industry, selling components. Carlos, who is fluent in Spanish, was hired for inside sales to support the Mexican and Latin American markets Rattunde currently sells and seeks to develop further. Carlos is responsible for quoting and fulfilling tooling and spare part orders for all North American customers, with special emphasis on the Mexican and Latin American companies. Carlos was previously in logistics.